It’s far from the long-anticipated new stadium, but will have to do. 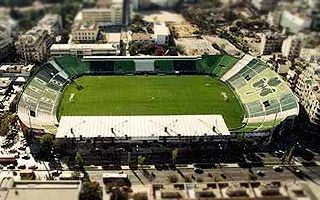 In winter the home stadium of Panathinaikos will undergo a significant revamp with capacity increase and canopy modifications. 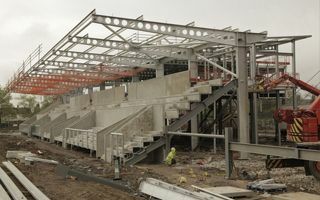 In May last year they were finishing demolition works at the old stadium. 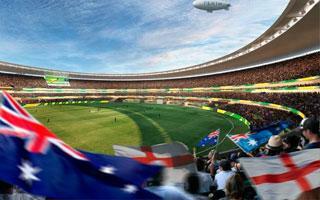 May this year will see formal delivery of the new 22,600-seater! 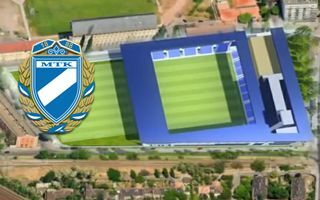 Another major Hungarian football project ending within deadlines and budget. 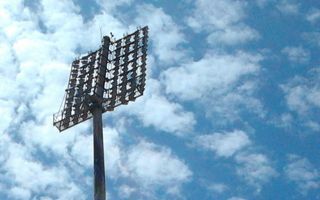 The Macedonian football association reached an agreement with UEFA to mount floodlight masts at five top tier stadiums. The operation should cost €3.7 million. It’s far from decided at this point, but there’s one spot particularly interesting for Everton. 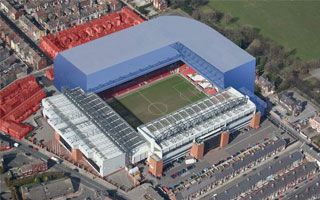 And it’s very close to Goodison, too. 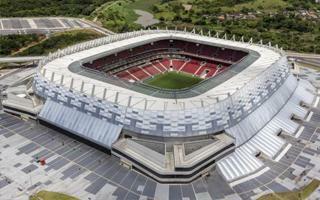 Redeveloped for over 1 billion reais, Brazil’s largest stadium has had a difficult first year. Though the loss was expected, its size is very significant at over $20 million. 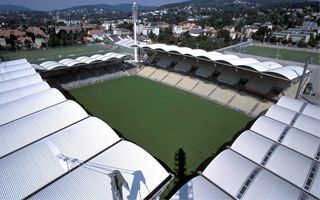 In March supporters decided on the ground’s name. Earlier it was also them to decide upon building it and raise the needed funds. No wonder they swarmed the meadow one day ahead of official groundbreaking to celebrate! 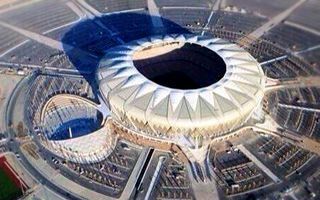 Al Arabiya confirms that King Abdullah Sports City Stadium will be opened on May 1. 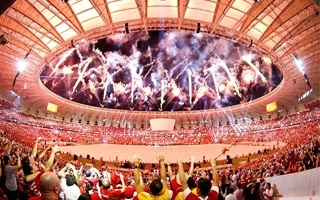 Despite waiting a few months for opening, the 60,000-capacity stadium was built in a record time of 14 months! 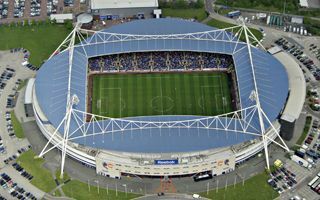 From July the Bolton Wanderers stadium will change its naming rights holder for the first time in 17 years. Reebok will be replaced by a different sportswear firm, Macron. 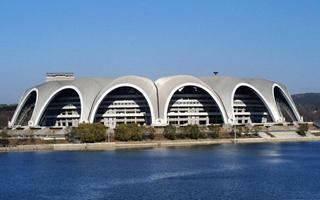 25.04.2014 Nigeria: National Stadium changed into a brothel? 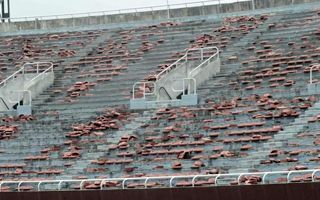 A dilapidated ruin of a stadium by day, a brothel by night – this image of the old National Stadium in Lagos was revealed by The Punch. 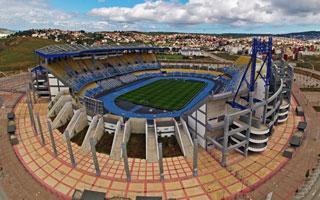 Forgotten by authorities, the stadium began a new life. 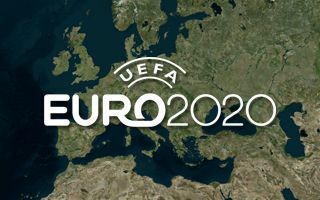 Further three countries decided to cancel their bids to host Euro 2020. Each for a different reason and each changing the Euro’s potential landscape. 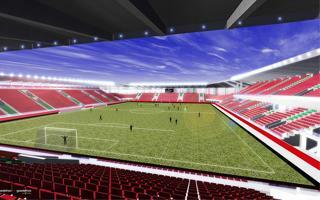 Long expected, here are first renderings of how the partly expanded Anfield will look like. 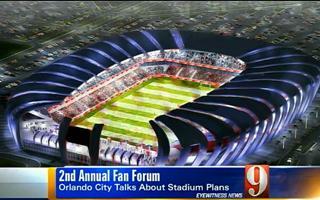 Phase one will bring the stadium to 54,000, but needs to be consulted upon first. 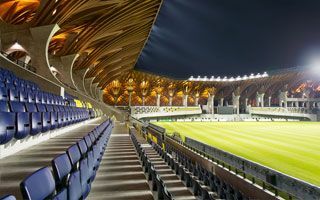 Supreme Audit Office claims Poland’s most expensive stadium may have gone well over budget because of improper supervision during works ahead of Euro 2012. 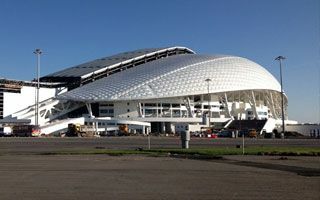 Formally the stadium is… still under construction. 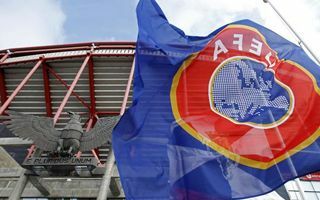 After another failed attempt to secure financial guarantees, the Czech Football Association withdrew the bid to host Euro 2020 in Prague. Both the government and Prague municipality refused to provide guarantees. 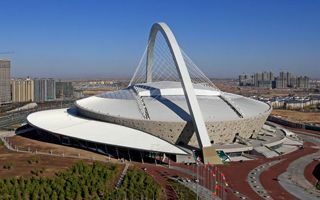 After months of waiting architects from around the world were informed that none of them won the competition for World Cup final arena’s design. 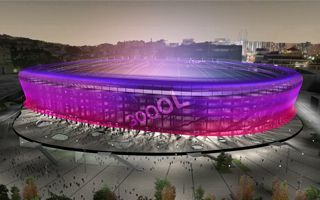 Report by BDonline.com. 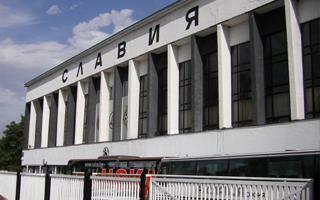 18.04.2014 Sochi: Zhemchuzhina to return, but what for? Local people aren’t particularly unhappy without their former football club, but it’s announced to return. This time it sounds like an alibi for Stadion Fisht standing empty. 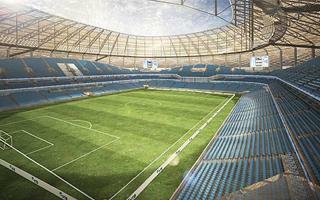 17.04.2014 Liverpool: Contract signed, renderings next week? Three signatures were given under a strategic agreement today. 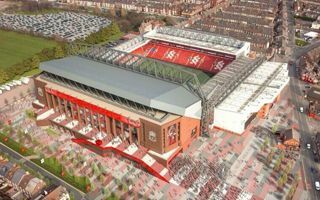 All of them are crucial for Anfield redevelopment. 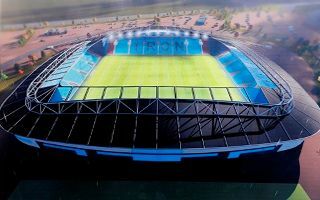 Images of the stadium’s expansion should be revealed next week. 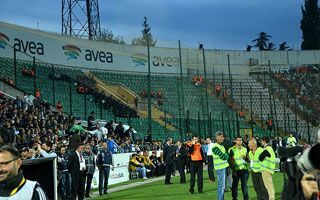 Bursaspor demanded outrageous amounts of money from Istanbul supporters, but the unfriendly hosts are now in despair, while visitors celebrate. 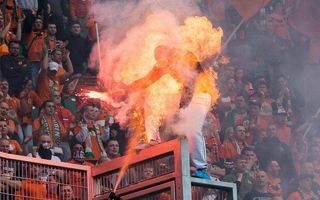 Galatasaray won and will now honor those who actually paid 800 lira per ticket. 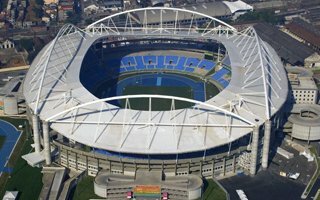 Yesterday a symbolic delivery ceremony took place inside Arena Corinthians. 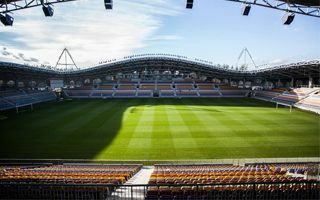 But the club won’t be able to play an official game here for nearly a month. 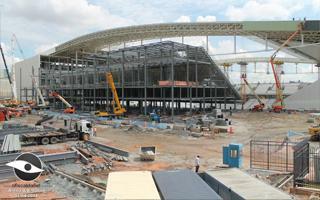 Construction works are rushing towards the finish line. 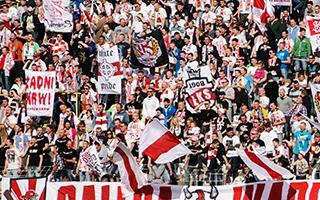 15.04.2014 Turkey: Away section for €270! No, it’s not the Champions League final or a VIP invitation. 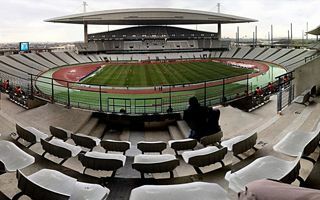 This is the price Bursaspor set for Galatasaray following for the most obscure section of Bursa Atatürk Stadyumu for tomorrow’s semifinal of the Turkish Cup. Liverpool FC may win their first championship since 1990, but that's meaningless today. 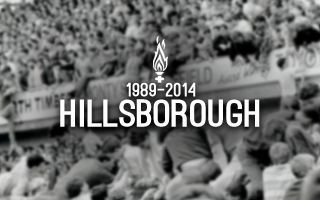 Both stadiums at Stanley Park are commemorating 96 victims of the tragedy that changed football. 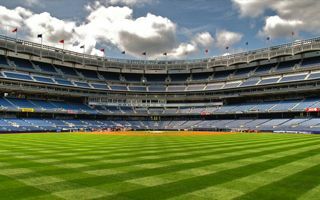 Before the newest football club in NY build themselves a private stadium, the club will play at Yankee Stadium for three years. 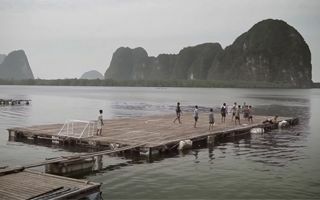 The paradise rocky coasts of Thailand look great on holiday photos, but aren't exactly the best breeding ground for football players. Or are they? 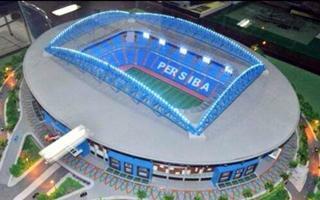 12.04.2014 Liverpool: Everton to present new stadium this year? 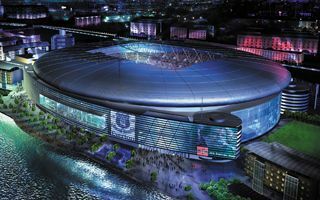 After long wait supporters of Everton FC finally heard some news about their future home. 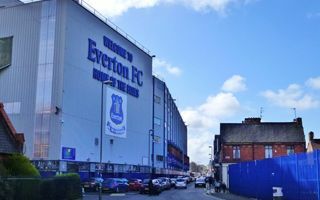 Mayor Joe Anderson revealed in recent podcast that his team is “working hard” with Everton to reveal a solid plan within months. 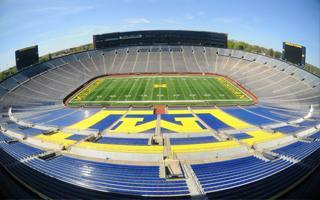 11.04.2014 Ann Arbor: New attendance record for US football? 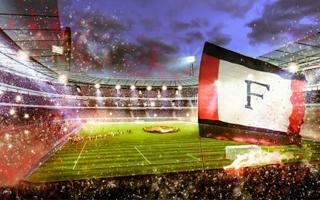 General sale ended just after it began for the exhibition game between Manchester United and Real Madrid. 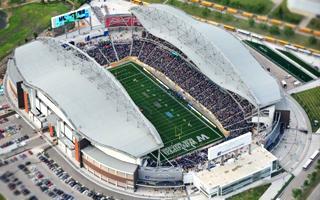 The August fixture is now hoped to be the biggest ever game of football in the United States. 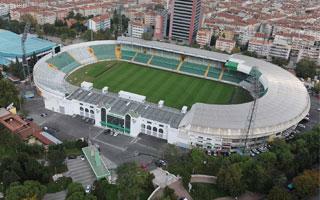 11.04.2014 Bulgaria: Agreement reached, new national stadium soon? 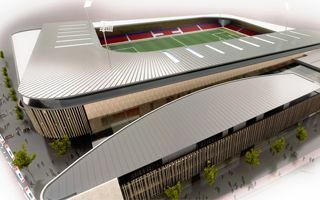 After months of talks now the national football stadium is a step closer. 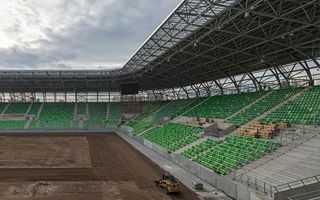 Slavija Sofia, the Bulgarian FA and German investors IFS agreed on the new arena in Ovcza Kupel. 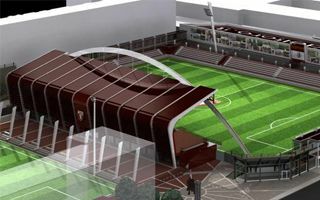 This will be Bulgaria's bid for Euro 2020. 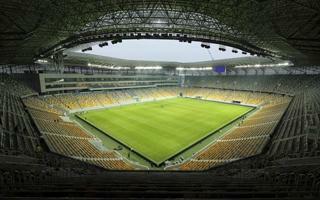 11.04.2014 Lviv: Will Karpaty finally move to Arena Lviv? 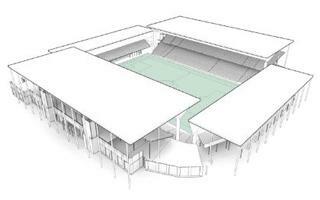 Initial plan to increase capacity from 7,653 seats to 10,000 was scaled down to a less impressive size of 8,500. More corporate boxes forced the cut, according to the BBC. 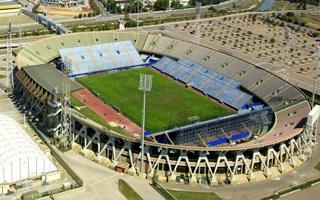 10.04.2014 Italy: New stadium and ownership change at Cagliari? 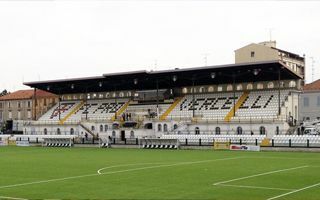 News agency ANSA informs that the troubled Sardinian club may change owners. 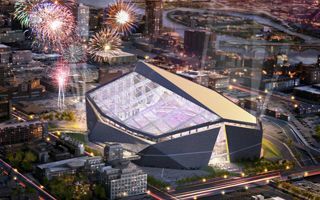 However, American investors need to make sure they can build a new stadium first. As winter snow melts, water falls in large amounts onto the office part of Investors Group Field. Some corporate boxes and the away team's changing room were confirmed to experience water damage. Blue Bombers refuse to allow press inside, adding to the tense atmosphere. It's huge, impressive and... still not finished. 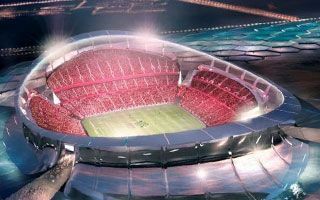 Meanwhile the concrete structure of Kuwait's largest stadium is cracking already. Public Prosecution will now examine the project. This was only a re-enactment, but one that horrificly resembled reality from 20 years back. Rwanda yesterday commemorated those who perished in the 1994 genocide. Josif has been going to Spurs games since he was twelve. 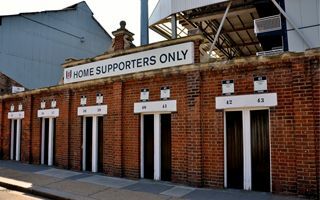 Most of his siblings are Tottenham fans as well, but it's their business on Paxton Road that stands in the way of the new stadium. And they don't consider backing down. 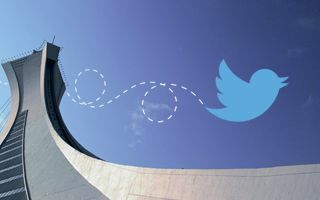 Recent changes at facebook make very few posts visible, so we suggest following @StadiumDB vie Twitter too. This way you get all the headlines as they're posted. 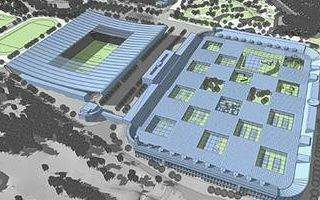 Over 37,000 shareholders of FC Barcerlona yesterday voted on the future of Camp Nou. Vast majority, over 72%, chose to support the proposed redevelopment. Naming rights deal was also approved. A temporary container cty was established around Rungrado May Day Stadium, one of the world's largest sports arenas. 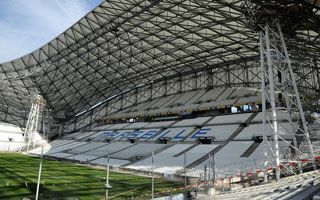 It's understood to be the beginning of awaited refurbishment at the stadium. 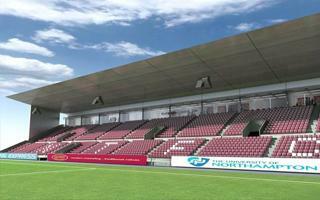 Council members approved the planning application for Zulte-Waregem home stadium's redevelopment. Reconstruction should begin as season ends and delivery is planned next year. 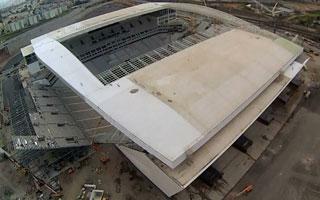 03.04.2014 Sao Paulo: Arena Corinthians partially closed for World Cup? 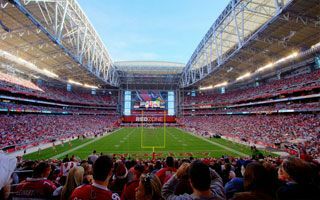 The state prosecutor's office warned Wednesday that safety improvements needed to be made to the stadium. 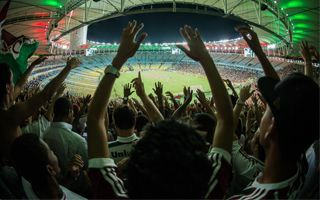 Unless safety improves, parts of the stadium may be closed, even during the FIFA tournament. 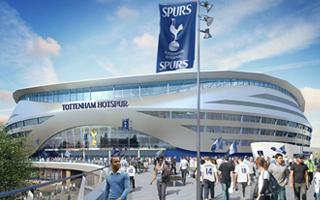 02.04.2014 London: Tottenham to break ground in 2015? 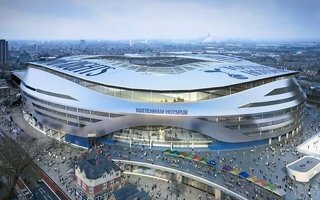 After years of waiting construction is still a distant dream, but Tottenham Hotspur hope to launch their tender in late 2014. This would make a mid-2017 opening feasible. 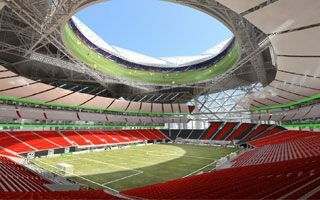 Though the city council already agreed to build the new MLS stadium last October, now the detailed construction agreement was voted on. And again went through without trouble. Will we see the final design any time soon? 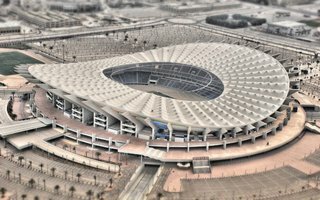 The stadium itself isn't able to support much photovoltaic panels, but with the amount of space around there's still room for a massive solar power plant. 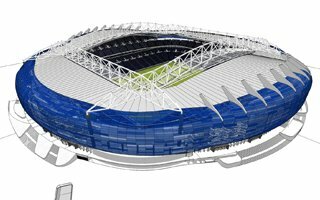 Up to 30% of matchday-use energy will come from new panels. 01.04.2014 Naples: Napoli to leave city limits? 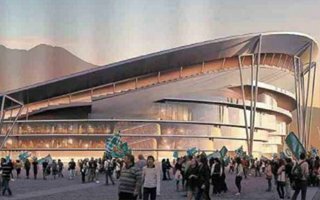 After optimistic end of 2013, now atmosphere around the new stadium for SSC Napoli is very tense. Club chairman Aurelio de Laurentis fears leaving city limits may be the only way out.